How this Singapore couple DIY-ed their pre-wedding portraits around the world! 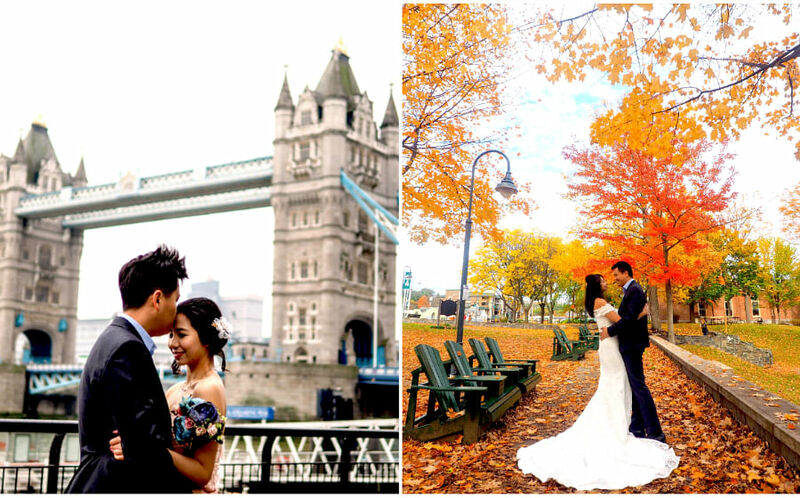 Eunice Chew, 30, and Huang Junming, 31, shot their own pre-wedding portraits around the world! 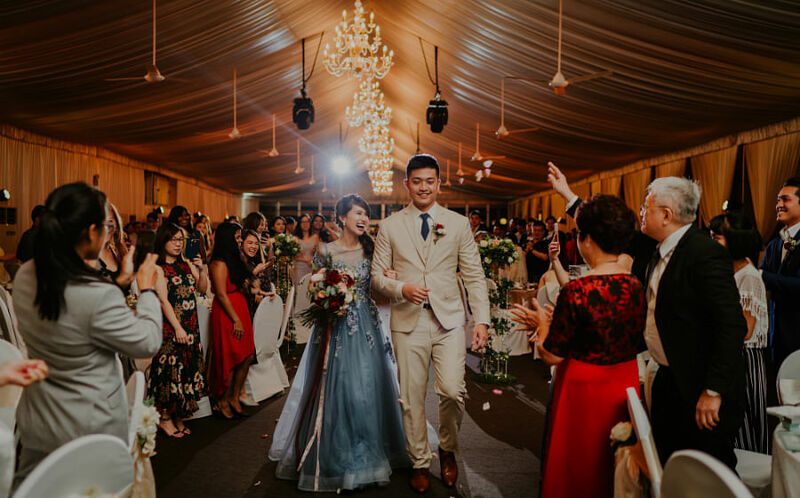 They share with us their year-long DIY shoot experience that captured the beauty of all four seasons. Share with us about your pre-wedding shoot. How did you decide on the concept and locations? I'm a flight attendant and my husband, Junming, is a pilot. While discussing where to go for our pre-wedding photoshoot, we had an idea that since we both travelled for a living, why not make our trips count and chase the four seasons around the world? Having been together since our university days, we recognise that every relationship has its undulating ups and downs, just like the changing of the seasons. Armed with our own tripod and DSLR camera, we began shooting our pre-wedding portraits around the globe over the course of a year in order to capture the different seasons. We specifically chose locations we could both fly to and spend a longer layover time at. 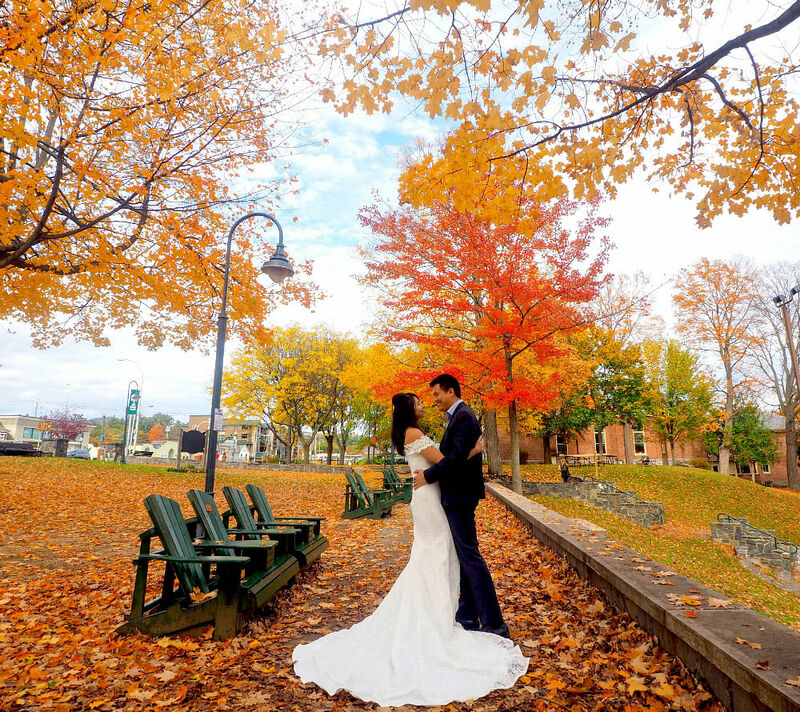 There were also specific locations we took leave for, like New York in autumn; as we felt the fall foliage would be a breath-taking addition to our collection. It was challenging from the start as we’ve never done something like this before. There were plenty of logistical aspects to think about, safety issues to consider – the risk of being victims of petty theft when we leave our tripod in the middle of a tourist attraction etc., and of course, having to figure out the best frame and angles for the shots – all of which required a lot of discussions and trial and error. The initial frustration led to a more efficient delegation process based on what we were each better at, and we definitely learnt so much more about one another. How did you share the tasks? I would source for inspiration and possible locations we could visit, while Junming would be the navigator, putting together the travel mapping plans and itinerary within the short layover time frame. For shoots whereby we wanted to capture the sunrise or sunset, we had to factor in the exact time needed to get to location so that we wouldn't miss the golden hour. Transportation was also tricky to navigate. For example, it is impossible to drive in Central London, so we had to figure out how to transport our shoot equipment and gowns via public transport. There was also this one time in Japan, when our plan to shoot at a gorgeous flower field was foiled. Our GPS signal had a slight dysfunction due to a weak signal and it brought us on a highway route with tolls that amounted to approximately S$60. By the time we got there, it was ten minutes before closing, so we were not able to get our shots! It was disappointing but we took it in stride and decided to enjoy a leisurely drive back via the many quaint roads that went through the rural towns. Even though it was so tiring, looking back at this experience brings back many fond memories and we are so glad we decided to do this. Working through the challenges brought us closer than we thought we could be, and it was a good reminder of how we are always on the same team. I would do this the same way again in a heartbeat! We are always looking for great wedding stories to share! E-mail us at cassk@sph.com.sg if you'd like to see your wedding in our magazines and website.